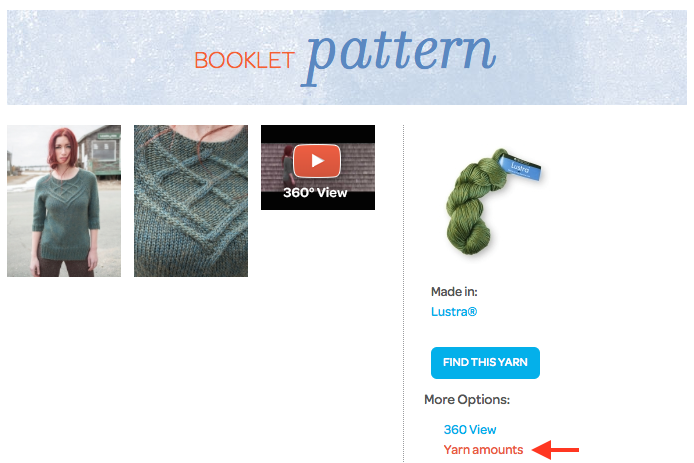 One of the questions we get most often about our website is, “How can I buy a pattern when you don’t tell me the amount of yarn I need to make it?” Another common question, “Why don’t your patterns say what sizes they come in?” The thing is, our website does have this information. You just have to know where to look! Between pattern pictures, a 360 video and the buy button, it can be easy to overlook the simple text links on the right side of every booklet pattern page. But they are there for a reason – they’re really helpful! 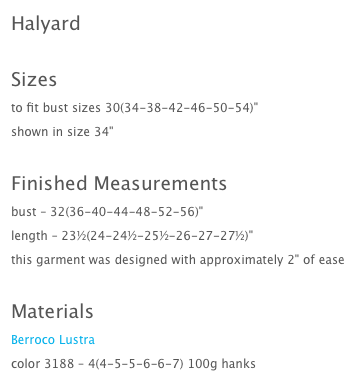 To answer the questions above, you’ll want to click on the “Pattern Information” link. Looking for additional information prior to purchasing a booklet pattern? Let me know and I’ll see if we can add it.